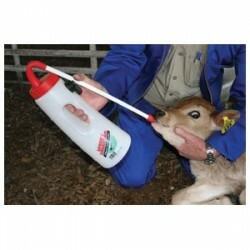 A calf drencher is used to stomach feed young animals including electrolytes and colostrum. 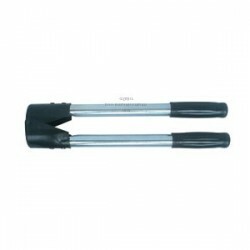 This drencher has a flexible long probe and a flexible collapsible bottle helping ensure that all the liquid is delivered. 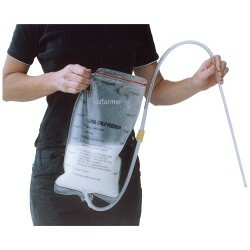 The capacity is 2 litres which makes it ideal for drenching calves. Instructions included. The usual vet recommendation is to administer approximately 2 litres of high quality blood temperature colostrum directly into the calf's stomach soon after birth. This ensures that the calf receives enough of this important foodstuff to gain the immunities the colostrum imparts.